« What lies below Chinatown? The Lower East Side was heavily Jewish and German for a long time in the 1800s-1900s. The people there created their own theater where they spoke and performed in Yiddish. I don’t know how many theaters there were, but apparently enough to sustain a number of performers throughout their professional lives. 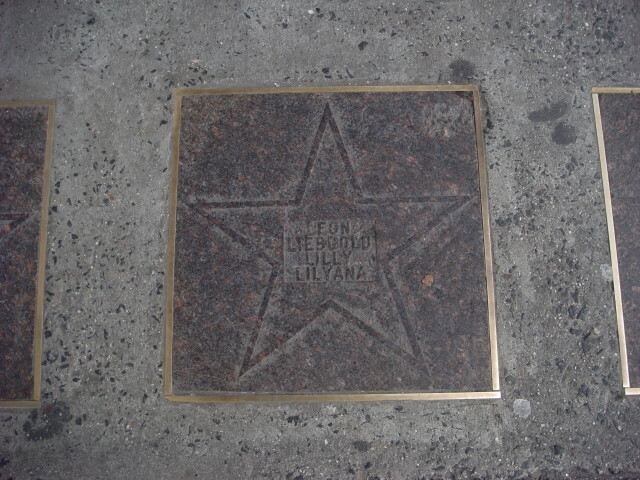 I was on a tour of the LES when, just walking along a part of 2nd Avenue I’ve been on a dozen or more times and the guide pointed out that we were at the Yiddish Theater Walk of Fame. It’s on the corner of 10th Street right at the Chase Bank. 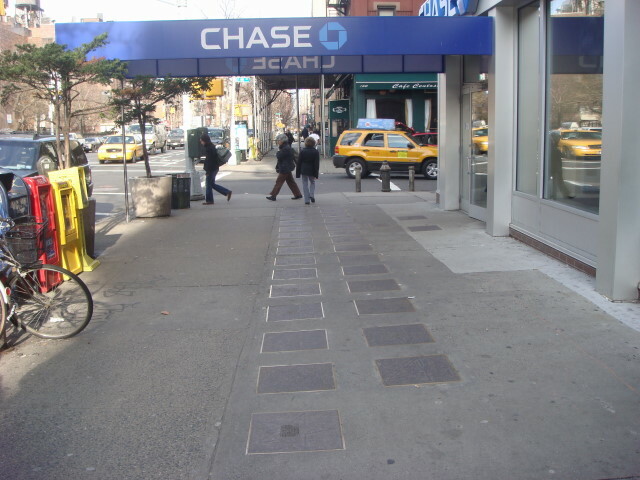 Apparently it was the site of the famed 2nd Avenue Deli. Notice the plaques on the ground. I did some searching on names and couldn’t find a listing of the “famed”. So, I’ve decided to put them here for a little bit of posterity. 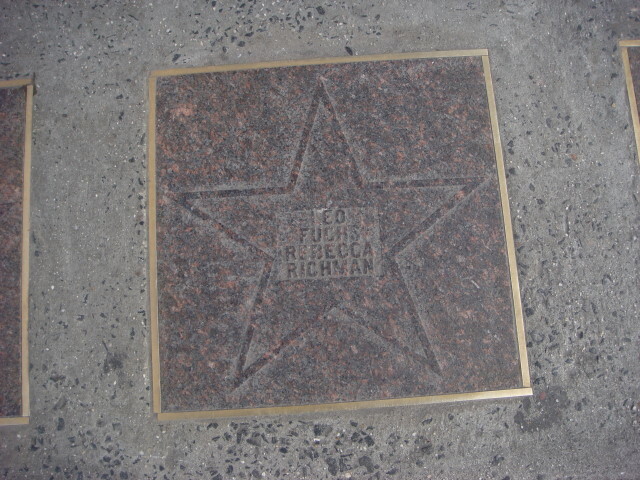 There’s only one performer that I’ve remember having heard of, but all are of importance in NYC theater history. I’ve done my best to find appropriate links for the names. When I wasn’t sure, I made a note of it, but I think they’re pretty solid. Whether the links will change/vanish over time is a different question. 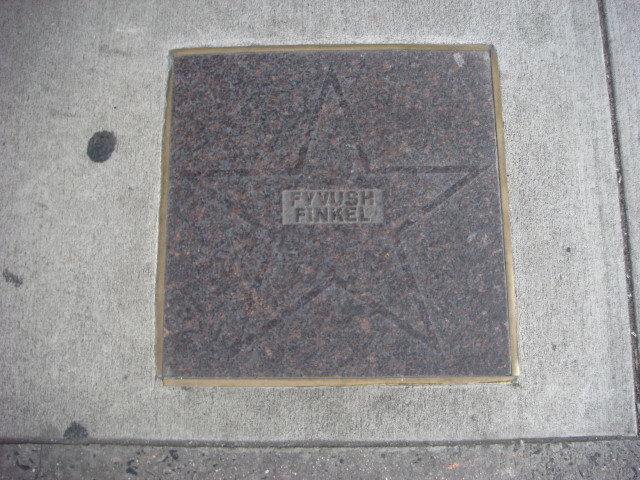 First, Fyvush Finkel is the only one of a few who has a “solo” star. His is also one of the most readable. 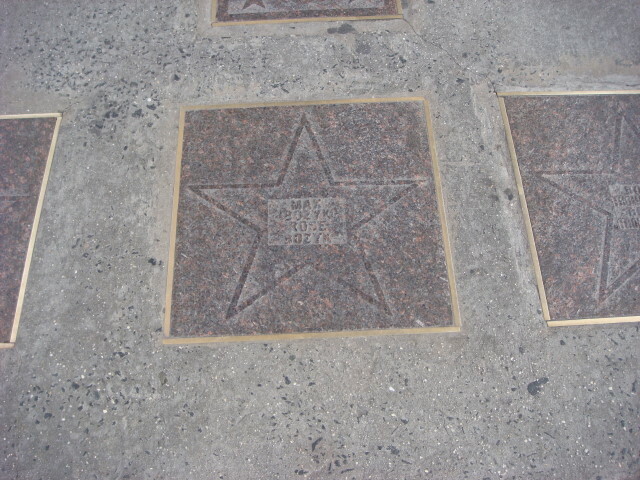 Next is the way the rest of them are: two names sharing a star. Here’s Jennie Goldstein and Ida Kaminska (she was nominated for a Best Actress Oscar). I’m going to do these as thumbnails because of the volume. Click on the picture to see the actual star. Then Lillian Lux and Pesack Burstein (a wife and husband team, respectively). 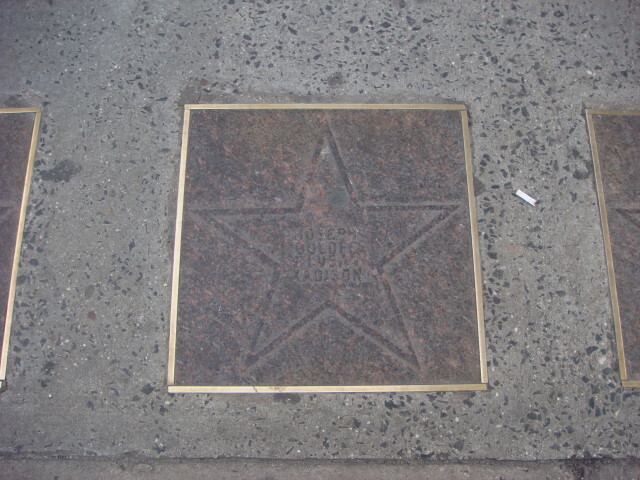 The next star is for Joseph Buloff and Luba Kadison. 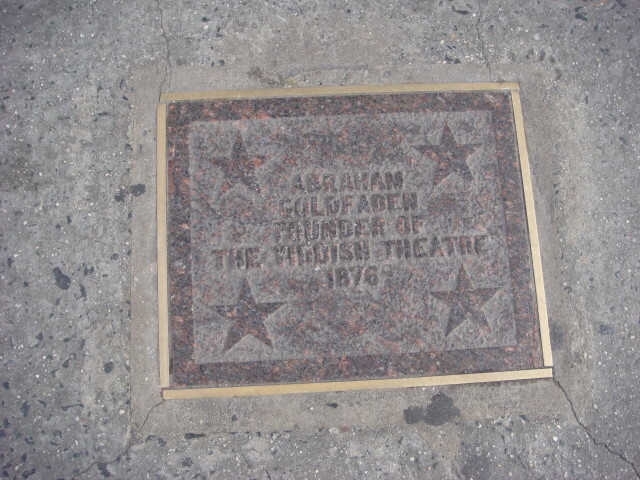 Abraham Goldfaden gets a second star, this time for being the founder of the Yiddish Theater in 1876. 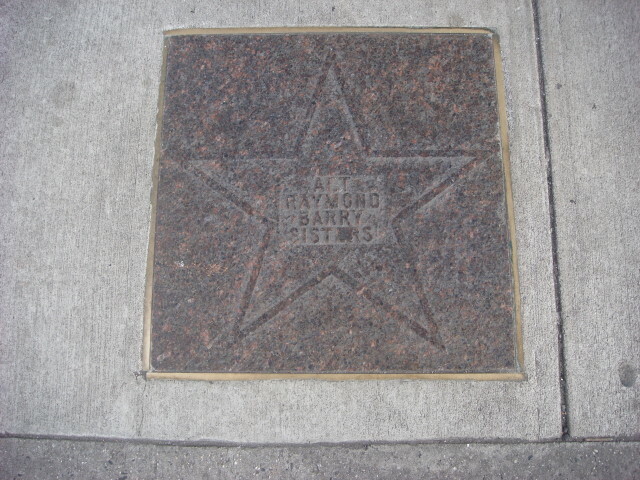 The next star is for “Alt Raymond” and Barry Sisters. I’m not sure about the spelling of the first name. 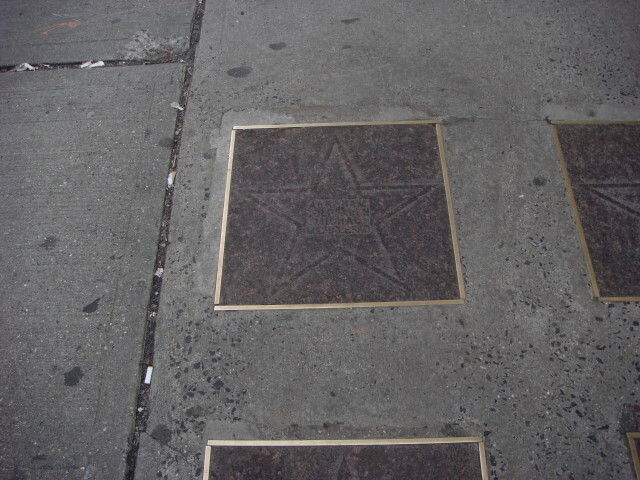 This entry was posted on February 20, 2008 at 6:33 pm and is filed under Celebrity Points, LES, Manhattan, Wanderings. You can subscribe via RSS 2.0 feed to this post's comments. You can comment below, or link to this permanent URL from your own site. 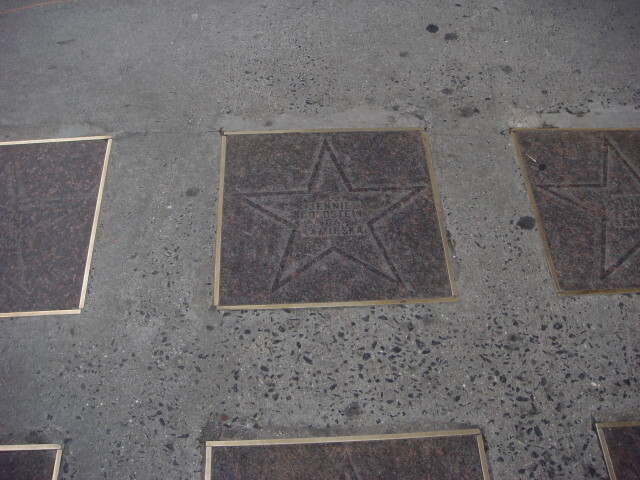 I live on this street, and I am embarrassed to admit I never read all the stars here. I usually look at one or two as I go by. I hope you like the ‘new’ 2nd Avenue Deli! I saw your mother perform at Town Hall a number of year ago. She was wonderful. What has happened to her? Is she still performing. I am a member of the Yiddish Actors Friends Club and would hope to see there there sometime. Thank you for the correction. 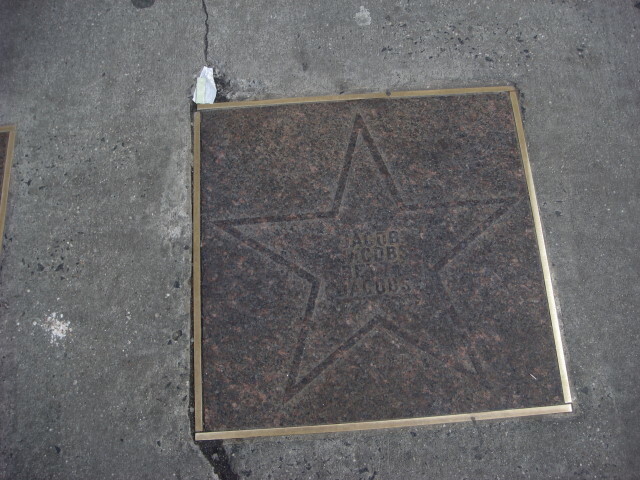 The wear and tear on the star made it difficult for me to read it and I couldn’t find your mom referenced in some of the Wikipedia articles I was looking at so I gave it my best shot. I’m happy you appreciate the post. I think of this writeup as one of my key posts in the whole blog. 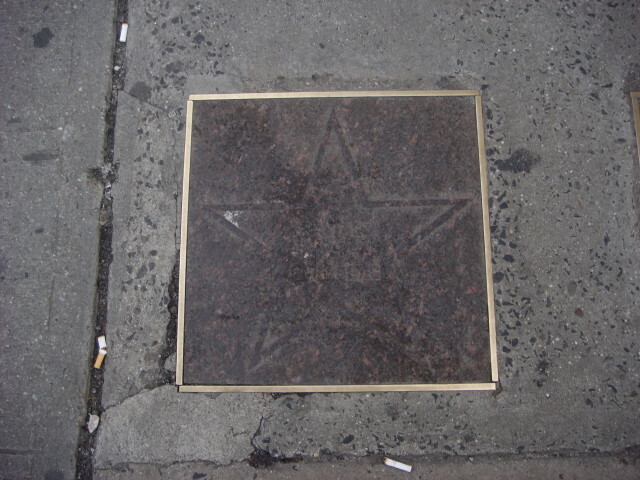 I was just so taken aback by the fact that no one seems to have an Internet post on the Walk of Fame and I wanted to correct that omission. 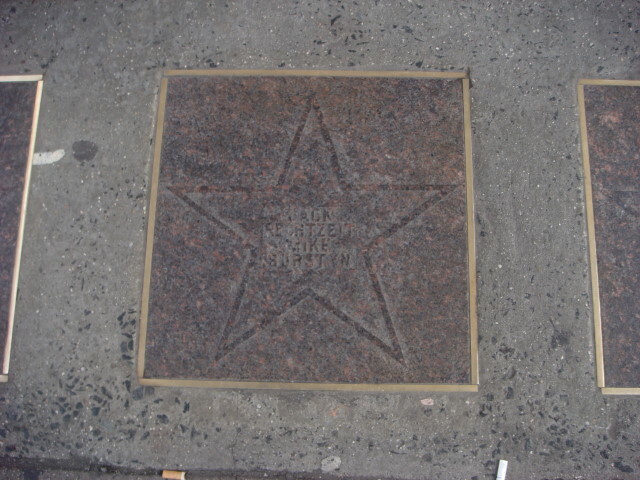 I’ve never been to see Yiddish theater (I’m not Jewish nor do I speak Yiddish so I might not be in their target audience), but it was an important part of NYC history and you can be proud to have that connection. 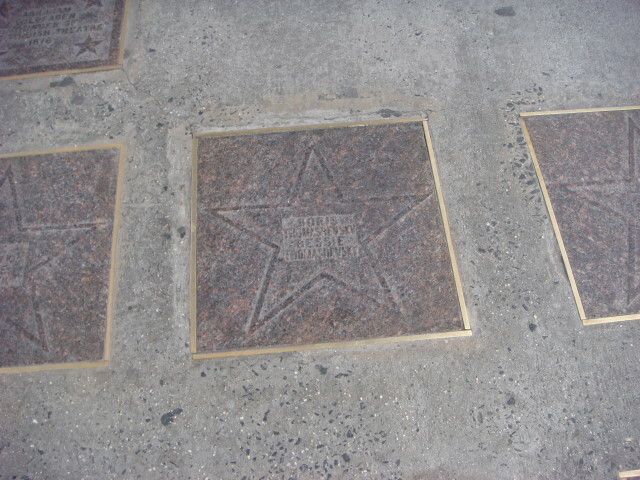 I have managed to identify 100% of the names on the stars and got biografical data for almost all of those persons. If anybody is interested please do not hesitate to email. 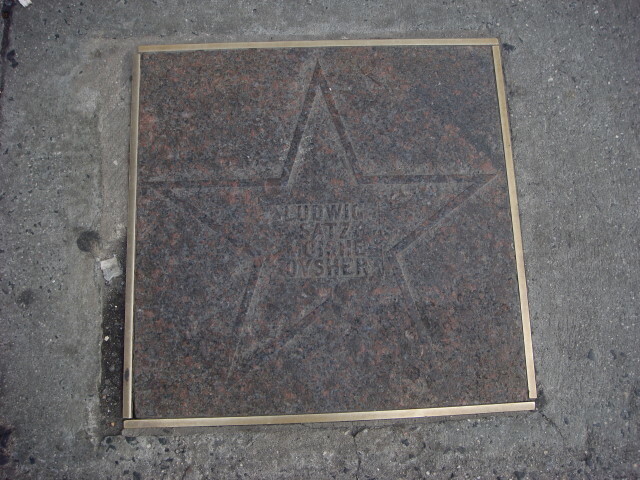 I would be interested in your list of names of all of those on the Yiddish Walk of Fame. My name is Susan Bloom Silver. My mother’s grandfather was Isaac A Abraham and he was an actor there. I don’t think he was very good as was made a proctor later. I have a silver engraved three cigar case of his given to him by Ruben Guskin. I looked Mr. Guskin up, and he was an actor, also. How do I find out if anyone out there knew of either one of these men. With both of my parents dead now, I’m finding an interest in their past. Thank you. Is Ben Bonus still alive? 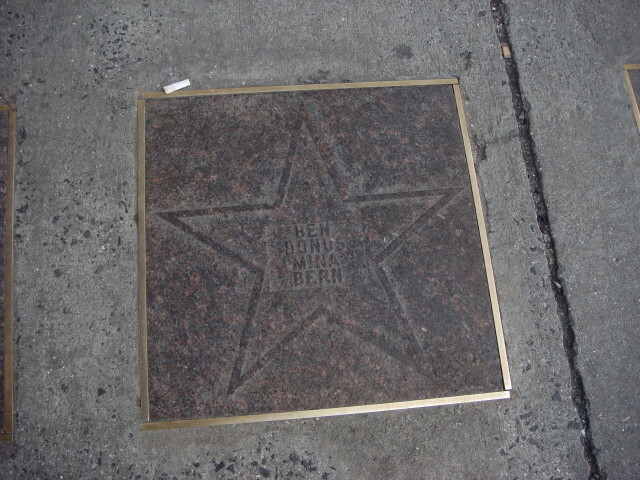 For information, Ben was a wonderful man, actor, singer and loved a good life! 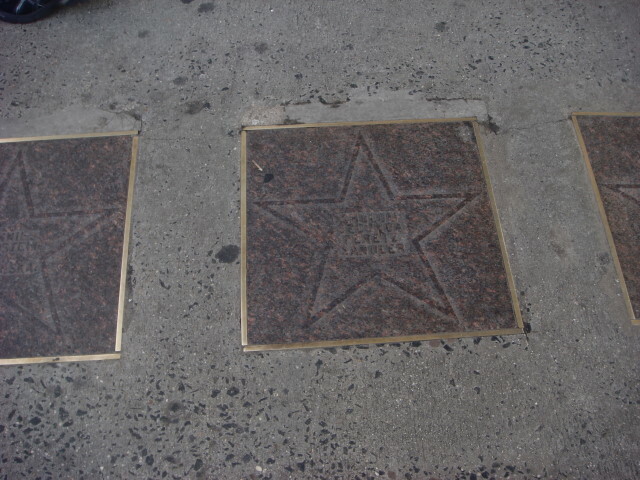 The last star you can’t identify is the great Jacob P. Adler and Sadie I think. 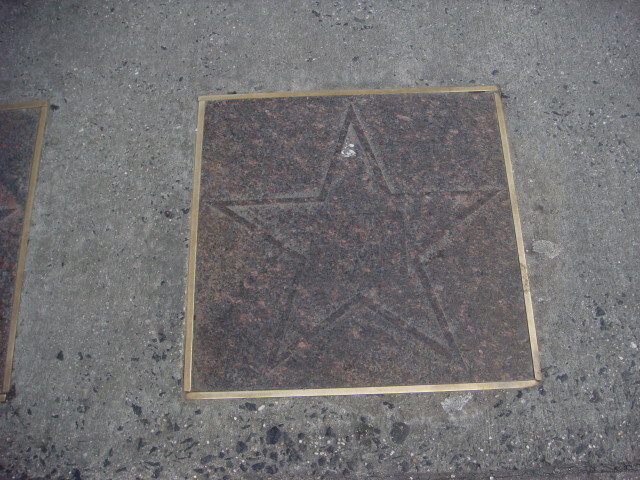 The star before that is Menashe Skulnik. Where is Aaron Lebedeff? 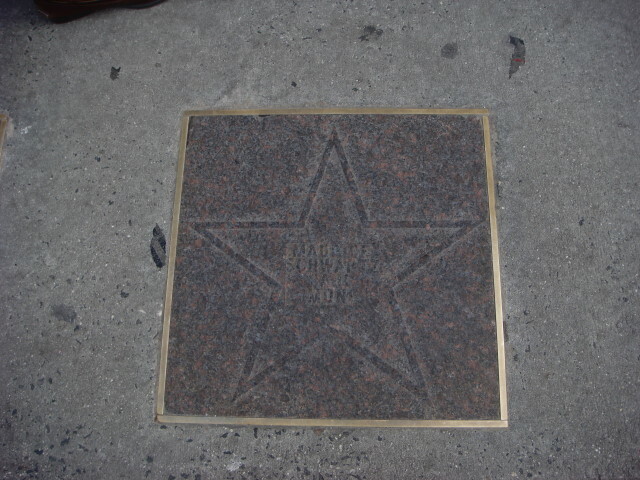 Perhaps he is another star you can’t read. Just a correction. Jack Rechtzeit is not the same person as Seymour. They were brothers. Jack is my grandfather. 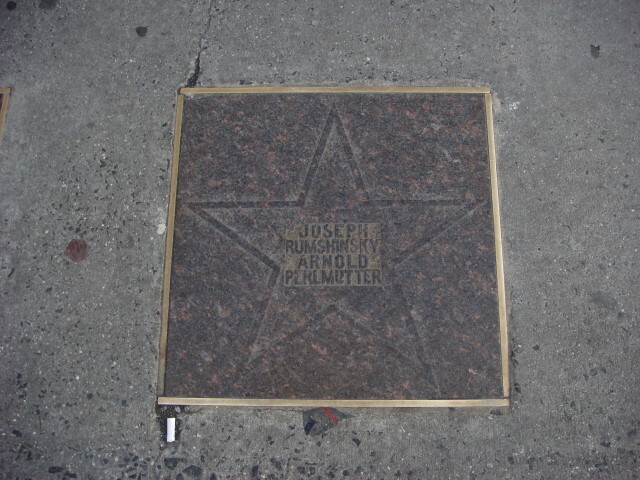 He passed away in 1988. 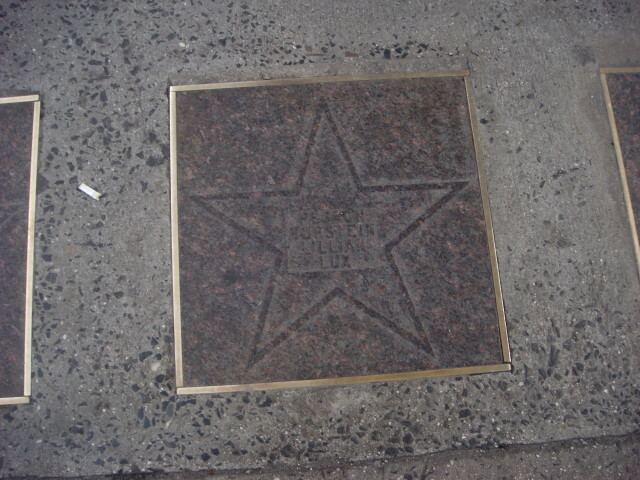 Jack was the president of the Hebrew Actors Union which is the Yiddish theater equivalent of the Screen Actors Guild. My grandmother is still alive and probably knows most the people in the list. Thanks for the information. Looking back at my year of daily blogging, I still view this particular post as the most important one I’ve done. 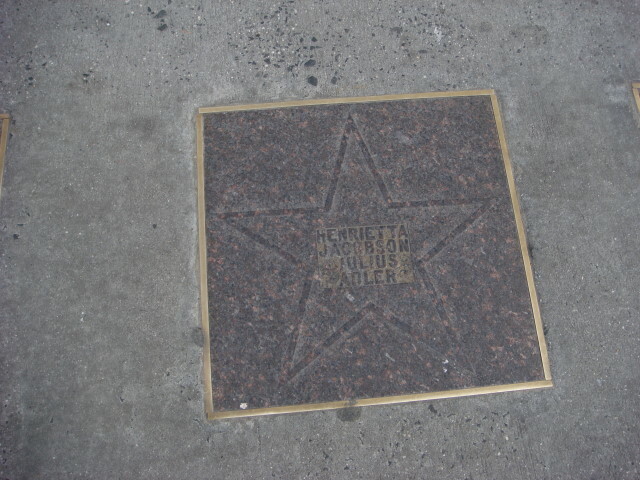 There simply wasn’t anything around that I could find and I’m very pleased to be seeing renewed interest in preserving the Walk of Fame. I really hope that there is action on that as it seems a very valuable bit of NYC history. in the winting line, i’ve never notice those ! website and link it ?? Thanks a lot and Merry Chrismas ! Important that we work to preserve these plaques. Does anyone have info about the current owner of the building? 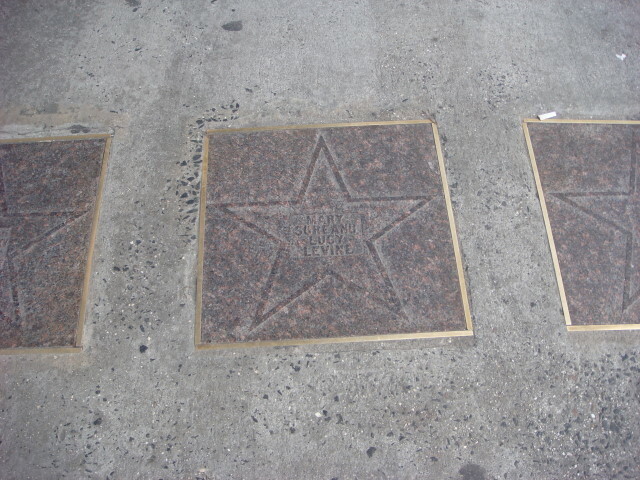 Irving Jacobson had a brother that was well-know in the theater as well. 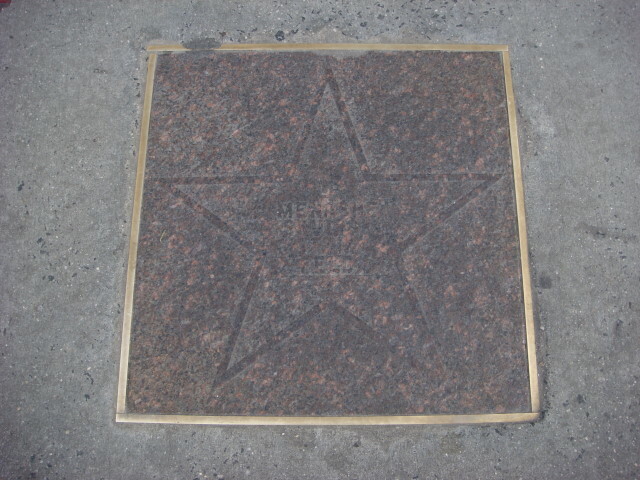 The other name on the star could be Hyman Jacobson. I hope this helps. 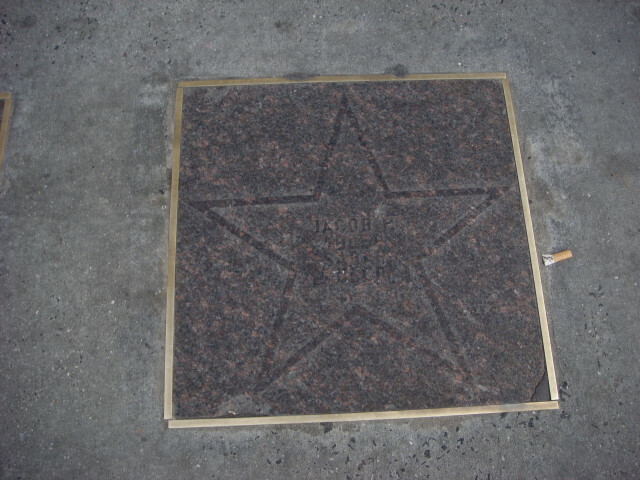 Would like to see a star for Mae Shoenfeld, Iriving Jacobsons wife who was also on the yiddish stage. She was a wonderful comedian and great wife to Irving. Thank you so very much for posting these wonderful photos. My uncle was the late Jacob Zanger, star of the National Theater on 2nd Avenue, and such screen hits as “Motel the Operator.” He brought us to America, after my parents were freed from Bergen-Belsen, and I was born in Belgium. My childhood was filled with these wonderful people, and I even got give “command performances” for many of them, on the clarinet and sax, at my uncle’s apartment on East 10th St. He used to take me to Metro Music, and the Yiddish Actors Guild, where they hung out. Thank you again for warming my heart, and bringing a smile to my face! Please send me the list you compiled of names on the plaques. jamboree_nyc@yahoo.com. They are an important link with the Yiddish theaters of the past and might be elegible for landmark designation. It would be wonderful if a few people got together to work out a Request for Evaluation to the Landmakrs Preservation Commission. In addition it would be a good idea to start a campaign to raise money for restoring the plaques. Unfortunately, I am so overburdened that I cannot take the lead on this, but might be available to help out on a limited basis. I hope people still read this wonderful post… so I might get an answer to my question. 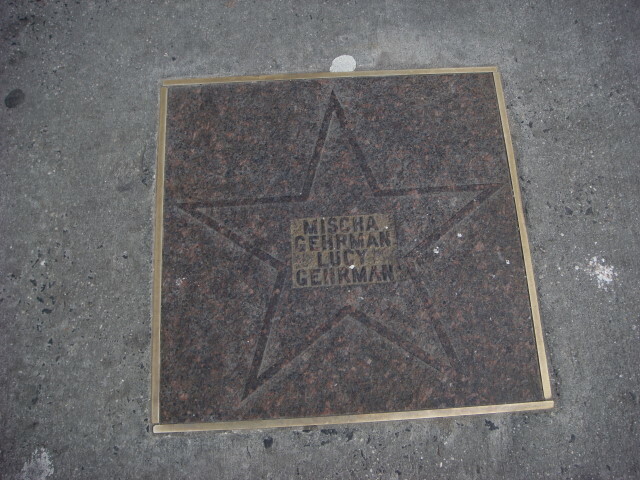 I just discovered my brother-in-law’s grandmother acted for many years in the Yiddish Theatre in NYC. Her name was Florence Feinstein. Does anyone have any information about her? I have been doing a lot of research and I am wondering if there is a list somewhere? I did find one mention of a Florence Feinstein in a Yiddish operetta. She lived most of her life in NYC and I believe she was married two or three times. Perhaps a name change? Thank you so much. 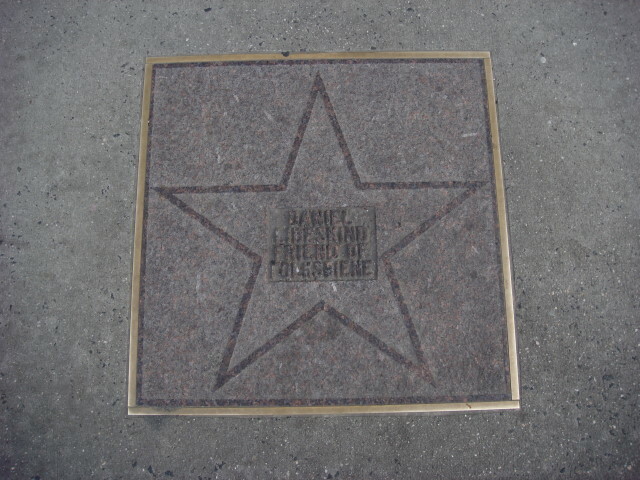 The Raymond name is Art Raymond, who was a Yiddish disc jockey on NY radio, and later moved to the Miami Bch. area. He died about a year ago. He gave a filmed interview that’s on Youtube. He was amazing in it, and a little full of himself. I met him a couple of times.But in a way, that was charming. He was a very talented man. I just returned fr. 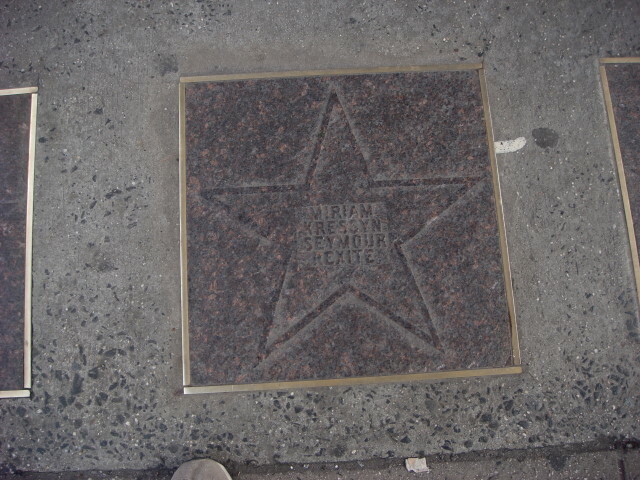 Manh., where I took a matching “now” photo of the spot where the Second Avenue Theatre stood. The old photo I matched it to shows the theatre and its marque heralding Mollyu Picon and cast (incl. my late stepmother and her sister, “The Feder Sisters.”) I would be happy to send both pics to you so you can post them. 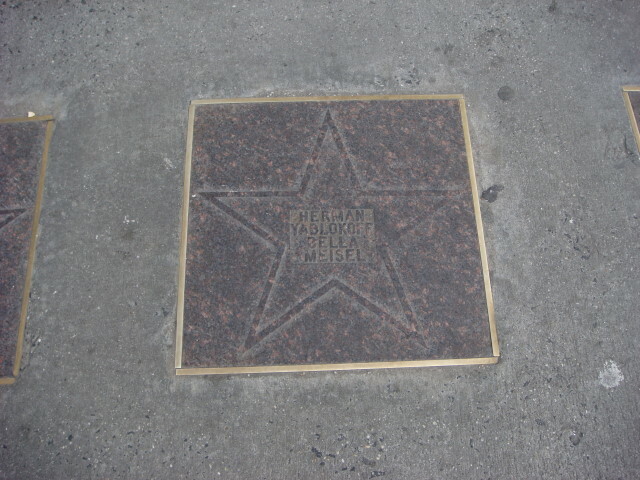 Some of the names on the marquee wound up on the Yiddish walk of fame! (Julius Adler, Henrietta Jacobson, and max Bozhyk.) 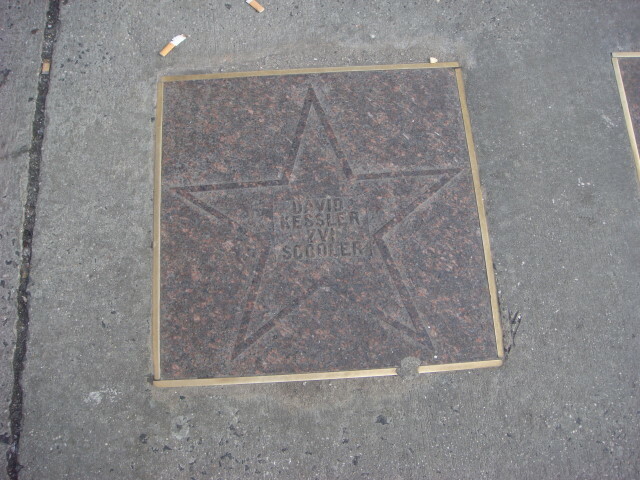 I sure wish the Feder Sisters had been honored with a star. They deserved it! Richard, Yes, please send me the photos. 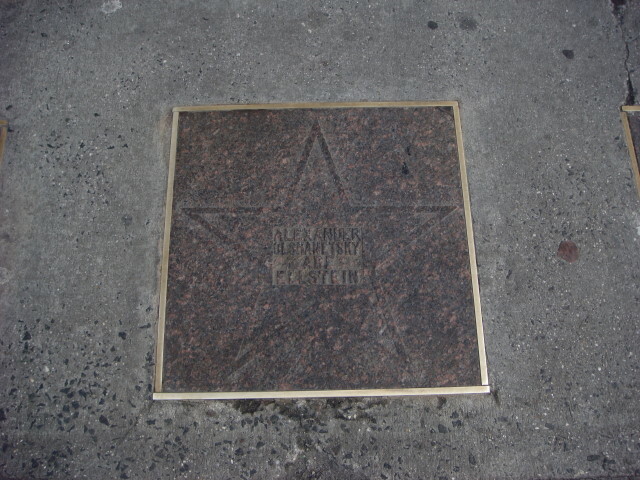 A coalition of LES organizations has formed to rescue the Yiddish Walk of Fame. Let me know your direct e-mail and I will send you info. It seems inconceivable that Menasha Skulnik isn’t there, no? 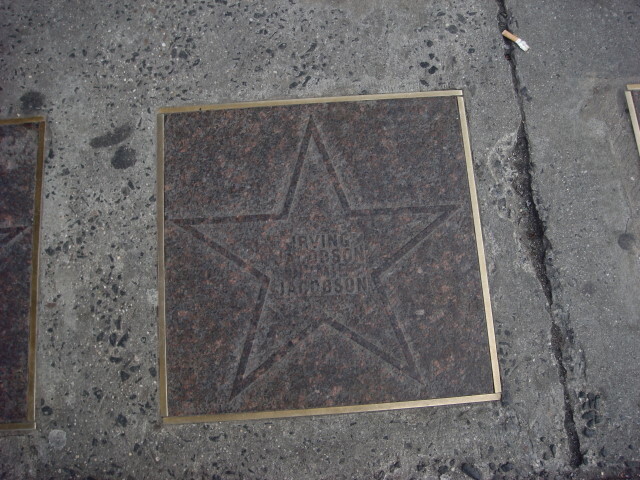 The unreadable name under Irving Jacobson is, I believe, Hymie Jacobson! His brother was Irving.